Crisis can test us on so many levels. The natural inclination is to hit the ground running. The executive is eager to put out the fires as soon as possible taking the organization back to a state of normalcy. While those intentions are noble it is critical as leaders to take a step back from the situation and exhale. I am not suggesting by any means that a weekend trip to Cancun is the way to go but we must keep in mind all eyes are on us. If the leader is running around like a chicken without a head as the saying goes then everyone else panics and spirals out of control. What started out as a challenge can quickly escalate into a catastrophe. Composure is a competency that characterizes a polished, seasoned leader who has experienced it all. Even if he hasn’t, even if he is just as overwhelmed as his team, he never demonstrates it in his first steps in managing any dilemma. Things just hit the fan. A competitor got to market with their version of the next cosmetic miracle 4 weeks before your company’s launch. A major deal fell through the rafters. Your brand’s ambassador is indicted for sexual assault. The headlines have given us a dozen debacles great leaders are faced with every year. No matter how intense the nightmare a leader must take a breather, calm himself and gain a sober perspective. There are a number of key decisions to be made and these should be done with as little negative emotion and energy as possible. Your brand is on life support and it’s up to you and your team to keep it alive and well in the hearts of its customers! Conversation is that vehicle that will communicate updates, clarify details, provide insight and manage your relationships with your team, stakeholders and the public. This is one time an in person meeting with your team is required. Stay away from e-mail. Pick up the phone and invite everyone required into the conference room. Even sending an invite to the meeting can be used against the company at a later date. It’s an electronic record that the media can spin to cast the brand in an unfavorable light. So you know about the matter at 6am and never met to discuss your strategy until noon while customers were still buying a faulty product? At the top of the meeting be sure to establish who is authorized to speak on behalf of the organization and this should apply to any internal communications as well. Leave emotion out of the equation in every exchange. Do not make unreasonable commitments and even when you are speaking to the higher ups manage carefully how much you share until you get to the bottom of things and have a strategy in effect. Your direct reports will be on the defense and the senior executives will issue threats. Sandwiched between this drama coming from beneath and above can prove overwhelming. Employ your active listening skills. Let each element empty itself and update them as you reach each milestone on the way to recovery. Get the facts. As mentioned earlier your direct reports will likely be on the defensive or tight lipped. In order to conduct a full assessment of what went wrong you will need a 360 degree view of the scenario. Ask probing questions until you are satisfied that you have a comprehensive understanding. Ground rules must be established upfront. Pose your questions and listen completely. Do not allow a shouting match. Do not allow office politics to come into play. This is not the time to entertain team members throwing each other under the proverbial bus. The blame game will only set up roadblocks on the path to recovery. Once you are confident you have a complete picture, re-present it in an emotion free logical manner. This gives you the opportunity to confirm you have complete clarity on what occurred. Engage your team on developing a strategy. Many leaders feel compelled to have all of the answers. Throw them into a storm and they single-handedly bring the ship into port. It makes for a good movie script but nothing else. Team members were specifically connected to different stages of these developments. They have intimate knowledge of the situation and can make tangible contributions in the recovery effort. Employ those skills of delegation accordingly, and given that you are in crisis mode follow up is not optional. Situational leadership demands that you manage team members relative to their expertise and track records. If a seasoned manager was the one that dropped the ball then you might have to take over in that regard or do some hand holding to ensure that nothing else goes wrong this lap. Do not take any random actions unless a team member’s behavior seriously warrants it. Let due process take its course. The top brass like to see heads roll from time to time but as a leader you not only have to manage your own composure but the emotional demands of others above, across and beneath you in the organization. This requires courage and skill and can shape your legacy over time. Be sure to inspect what you expect step by step. There is no room for error. 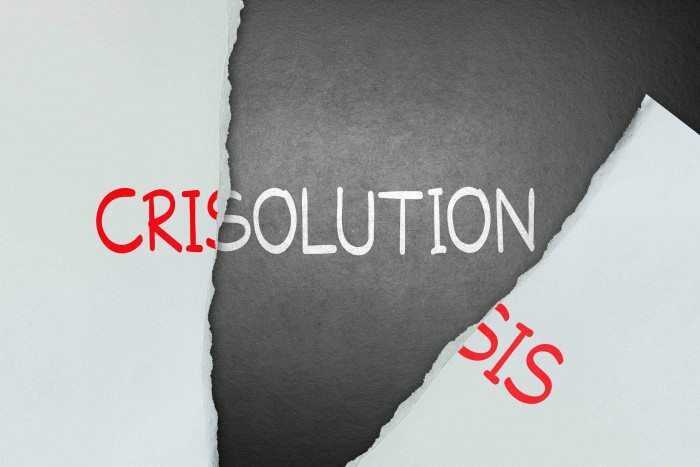 Crisis while not welcomed can be a wonderful opportunity for an organization to reinforce its brand’s values. Companies attract customers by what they deliver. Brands build loyalty by how they recover.